Everyone has seen photos and movies featuring the Egyptian pyramids constructed of massive 2-ton limestone blocks. But what if you want to build a pyramid and don't have large stones nearby? 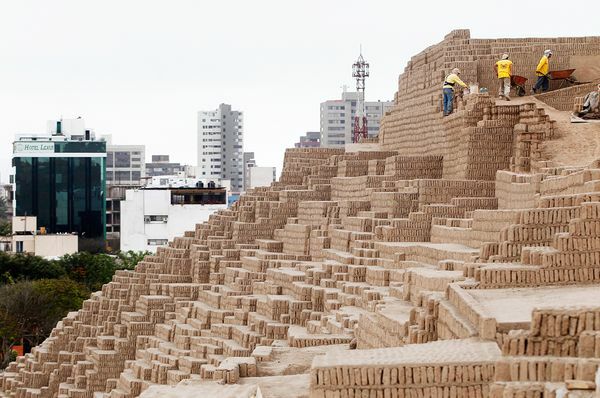 Lima, Peru has eight-story high "huacas" - pyramids constructed of adobe bricks. Awesome. 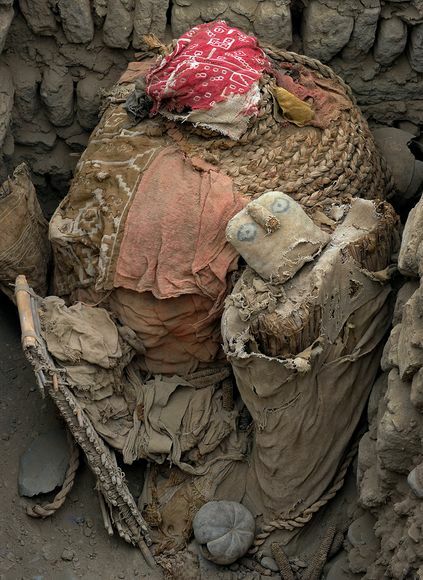 During restoration/preservation work there, archaeologists have recently found several intact "mummy bundles"of a woman and her three children. 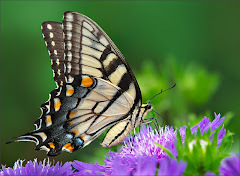 Found at National Geographic, where there are several more photos. Ouch! I wouldn't have anything to do with what they are doing. As an engineer, this makes me cringe, on several fronts. I would think that adobe bricks are not terribly good at taking loads like the ones they will be subjected to in a structure that high. Oh, they are okay for fairly low structures, but 8-stories high has to be close to their limit. And you don't want any structure near its limit. Hills of materials have an angular limit - the angle of repose - beyond which they are subject to avalanches. I believe right near the end of the Egyptian ancient period, down in Nubia some small pyramids were made out of adobe-type bricks. While those lasted a long time, they slowly deteriorated. Besides the angle of repose problem, I cringe at the load on the bricks at the bottom. I can imagine even now some of them are crushed to dust. One of the big disasters in Egyptian history was the collapse of one of the pyramids at Meidum, during construction (it is believed), where it avalanched. It is commonly understood (though not universally) that that collapse was the reason the Bent Pyramid at Dashur had its angle changed toward the top. When I lived in Lima ten years ago, there was a restaurant right next to one of those adobe brick pyramids, with the grounds of the restaurant actually part of the excavation of the site. While from an archeological viewpoint the setup was about as opposite from what should have been as possible, it still had a haunting beauty when dining there at night. You could look at the window or wander pathways through the excavation, which was dramatically lit. At a different but similar site, a production of Othello within the ruins was also dramatically haunting. fortunately you were not engineer at that time, I'm an engineer too, but in computer, and when I think of how engineers programmed 50 years ago and compare them with those of today, I realize that today, anyone can be an engineer, in the past, one had to be very smart to be engineer, I guess is the case with all types of engineering in the world.